By now, you've very likely heard or even seen the changes coming to Paradise Pier, at Disney California Adventure. 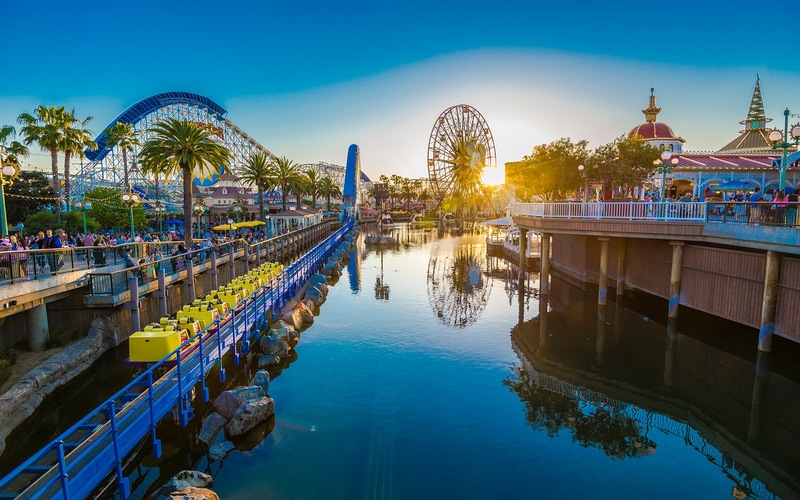 Come the end of this spring, the waterfront area in the back of DCA will reopen as "Pixar Pier," tying various Pixar intellectual properties together in a revamped themed land. 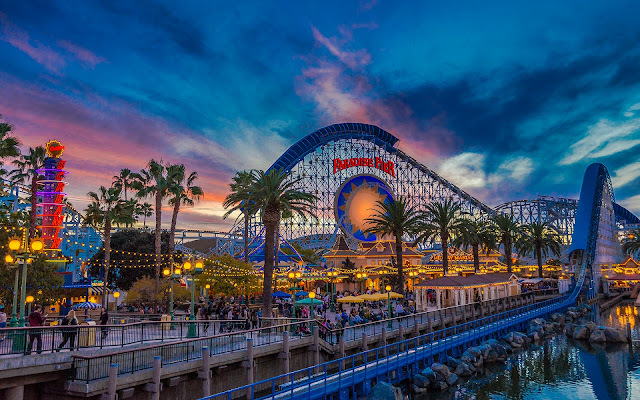 California Screamin' will become the Incredicoaster, and a future Pixar attraction will be added to the area. California Screamin's waits to launch. I'm not exactly a fan of this change. Though the roller coaster will receive a pretty stylish new station, the whole overlay feels like the same sort of rushed attempt at synergy that produced the facade for Guardians of the Galaxy - Mission: Breakout! Granted, that attraction is actually a very enjoyable, high quality ride. But visually, the building still sticks out like a sore thumb and makes no real thematic sense within the story of the park. 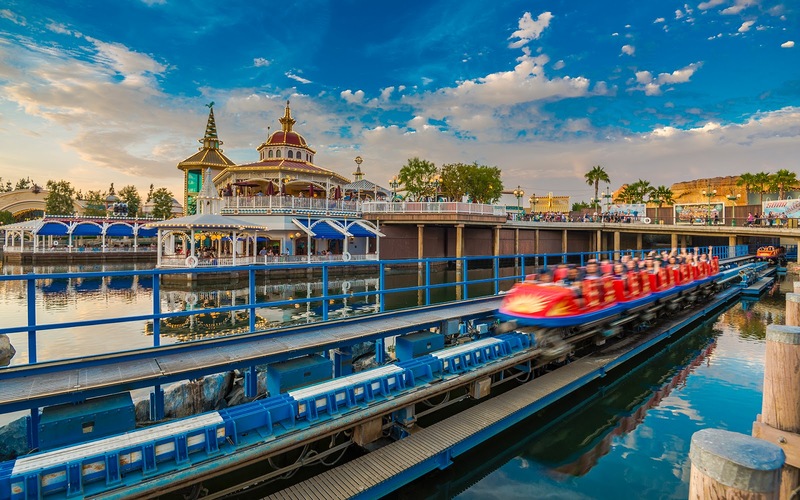 Turning Paradise Pier--one of the few original ideas around the park--into a Pixar-associated property shows an increasingly IP-centric thought process that is concerning, if only because it suggests a lack of creativity. Once upon a time, Disney didn't rely on existing franchises on which to base their attractions. They created original stories and ideas that were so iconic that IP's actually became based upon them. I wonder if the executive brass atop the company forgets that sometime. 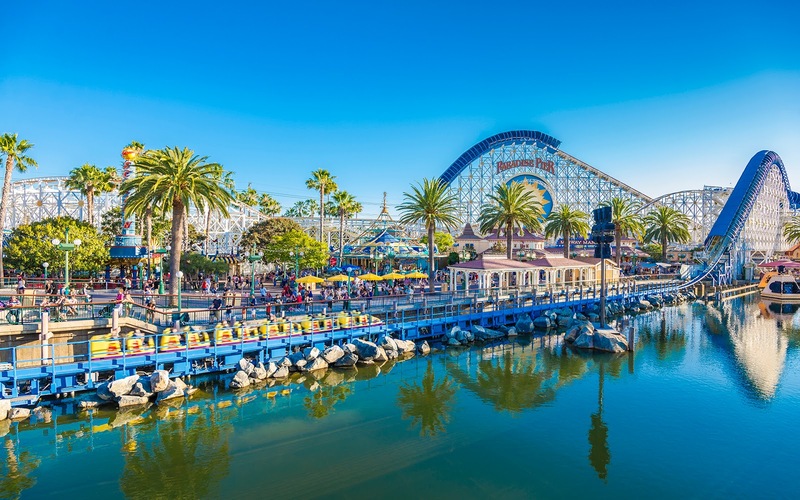 An overview of the launch track for California Screamin'. 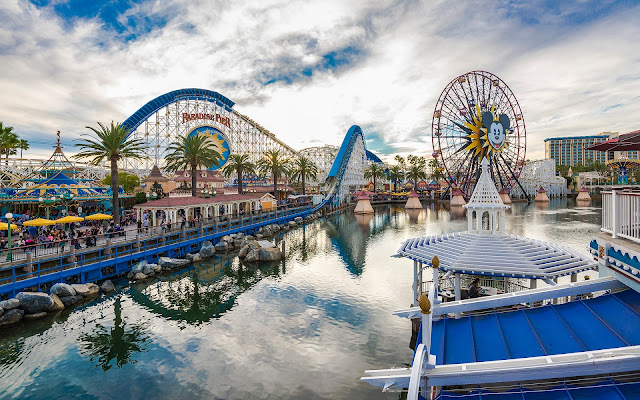 Even on a cloudy day, Paradise Pier is lovely. In any case, things will look different come summer, so here are a few images of Paradise Pier as it was. You'll never see it the same way again, especially with all the work walls up now! 5, 4, 3, 2, 1, SCCRRREEEEEAMM!! Vivid colors wash over Paradise Pier in the evening.